What would we do in Wisconsin in retirement? says Lance Koehler, reflecting on his new life in beachside Tulum, Mexico. Go to the mall, shovel snow. Here I love the warm weather, the sun, and going to the beach. Lance and his wife Jeanette have found more than their place in the sun. They’ve also found their place in the local expat community. 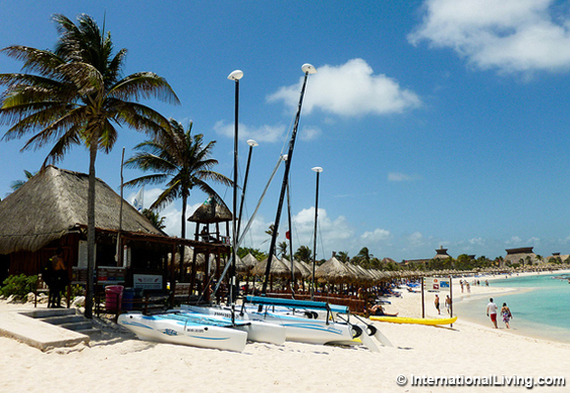 Tulum has grown in recent years from a backpackers’ favorite to a thriving tourist haven and expat hot-spot. People are drawn by the year-round warm weather, beautiful white-sand beaches, active social life, and the laidback lifestyle of a beach town. You meet interesting travelers and expats; it’s amazing the stories you hear, says Jeanette. The expat community is very international. The couple is also involved with a local English-speaking church, which is active in Tulum, Puerto Aventuras and Playa del Carmen. Lance, a musician, helps the churches by playing keyboard and with sound and video systems for services and special events. We’ve always been heavily involved with our church back home, says Lance. Here I sometimes spend up to 20 hours a week preparing overheads, practicing music, and driving to and from rehearsals and services. Living here has been amazing. We watched our four-month-old grandson eat baby food for the first time. We thought we would be disconnected from family, but it’s worked out really well. We actually see more of the kids now, says Jeanette, who explains she video-chats daily with her daughter through the Apple application, FaceTime. It was harder to visit them in Florida from Wisconsin than from here. We’re close to home. It’s just a quick flight from Cancin (about 90 minutes north of Tulum by car) to Florida, where most of our family is. 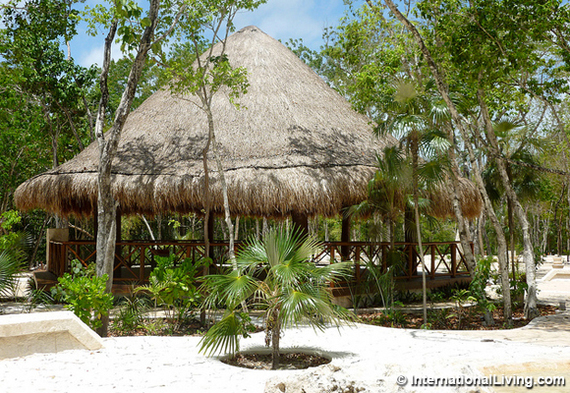 The couple first visited Tulum in 2011 on a scouting trip, during which they bought their lot. They’d always known they wanted to retire abroad, thanks to Jeanette’s niece and her husband, who had invested in property in Latin America and piqued their interest in the region. At times we had also been considering Guatemala, Panama and Costa Rica. We came to Mexico for an International Living conference and really liked the First-World amenities, says Lance. We like having a bigger home, so we can have our own space. But we did want to have access to the beach, says Lance. Here, you find more affordable property away from the beach. Unlike the gated developments that dot the area, the Koehlers’ neighborhood is wild, left natural. There are no power lines because it’s off-grid, with power generated for each home by solar panels. That helps them save on electricity. 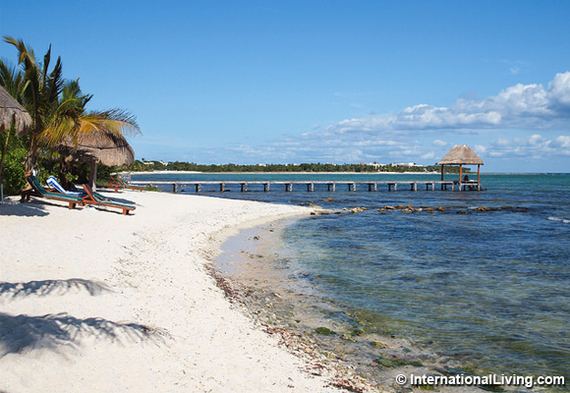 But their other costs of living in Tulum are reasonable. In a month, they typically spend around $400 on food and $175 on entertainment. We sold all our belongings and came down here, said Lance. When we came down, we had to figure out if we could live on our retirement income. We can, and we don’t feel like we’ve sacrificed at all. Tulum is one of those places that will always stick with you.